The 2021 FIS Alpine World Ski Championships will be held on February 9 – 21, 2021 in Cortina d’ampezzo, Italy. Guests typically choose from one of two waves, or they can opt to stay for the entire duration of the competition. To participate in Champions Club Cortina, the total gift is $320,000 ($250,000 is tax-deductible). Payment in full is due prior to commencement of the event. Accommodations to be announced soon! The dates of the 2021 FIS Alpine World Ski Championships are February 9 - 21, 2021. Our guests will have the option to choose from one of two waves. Wave 1 - February 8 - 15. Wave 2 - February 15 - 22. Click here to learn more about the 2021 FIS Alpine World Ski Championships. Today the tourist resort is optimistic about the future, also thanks to the assignment of the Alpine Ski World Championships of 2021. 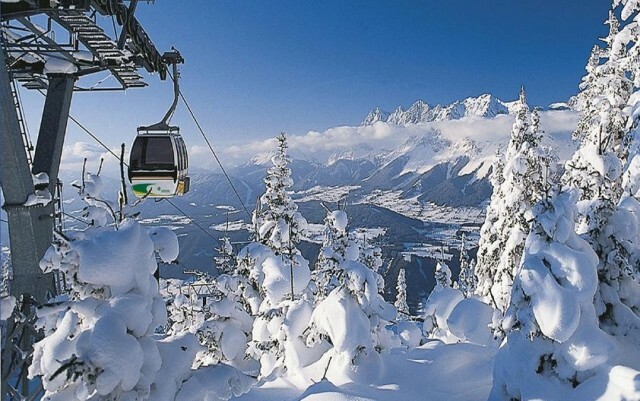 The beauty of the Ampezzo Valley, attracts visitors from around the world at any time of year. It is surrounded by majestic peaks, part of the UNESCO World Natural Heritage: the Dolomites!